Easily convert data into maps that can be shared online. 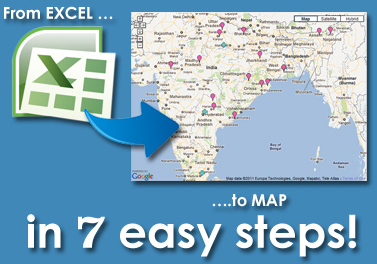 AuroMap takes data from an excel sheet and plots it onto a map in a few easy steps. All you need to do is make sure that the excel sheet contains location data - either city and state or latitude and longitude. For example, you can create a map showing all the eye hospitals in India by uploading an excel sheet with the hospitals addresses. Use AuroMap for geographic representation of your data. Geographic representation of data can help in better interpretation and decision making, especially when there are concerns around coverage or market opportunities. Eye Check Up Camp for TT Drivers.